What to wear to a gala dinner in 2017? 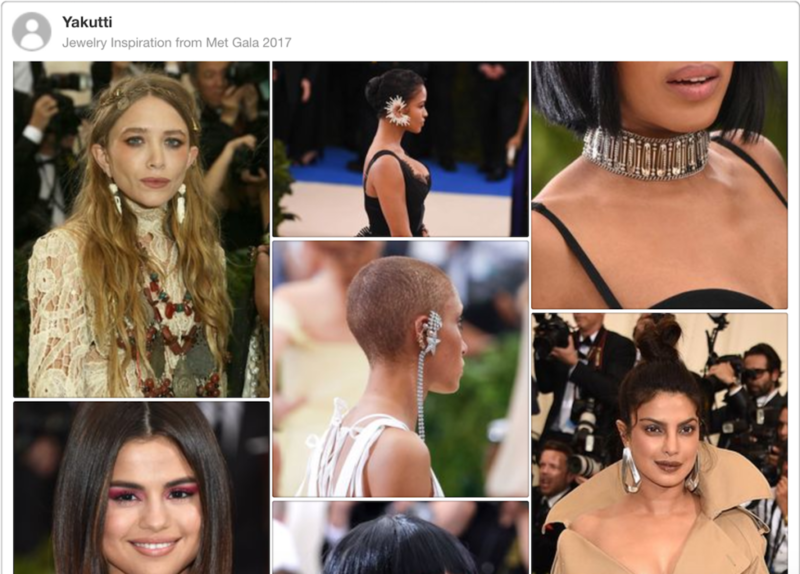 If you were looking for jewelry inspiration from this year’s Met Gala red carpet, you must be sorely disappointed. As we are. Perhaps its the need to balance out Comme-des-Garçon-inspired unusual silhouettes that kept jewelry boldness and experimentation at a minimum. Subversion could be understated, or so says Selena’s choice of a choker. Olivia Pope prefers dainty understated chains, at least most of the time. But from Kerry, here’s your inspiration for multi-layered complexity. For bold high fashion nights, add to the boldness of your pixie cuts, mo-hawks and side swept hairstyles. We love it but wouldn’t pair it with statement earrings. But since we are defying conventions and breaking fashion rules. . . guess it’s all good. Layered precious stones and vintage hair bands are all the boho chic you need for your romantic lacy maxi.